Orkestar Bez Ime [or­-KESS-­tar behz EE-­meh], meaning “orchestra without a name” in Bulgarian, in 2002, focusing on the folk music of Eastern Europe. 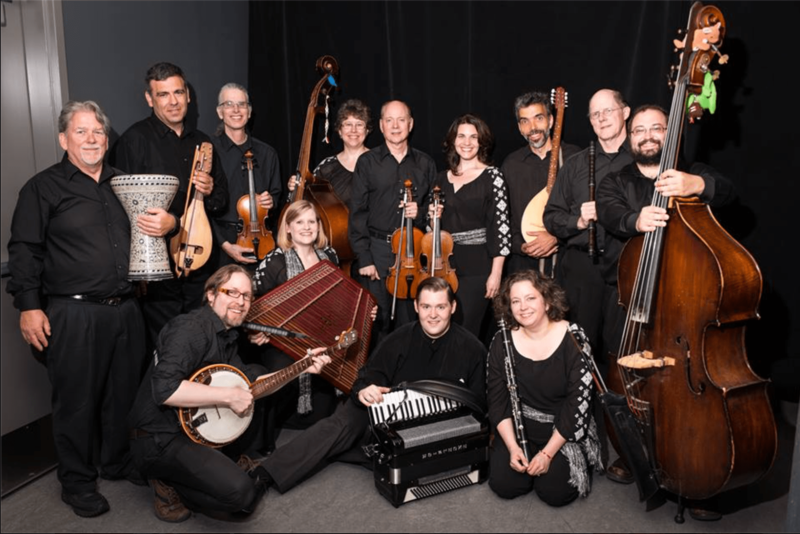 Also known as OBI, the ensemble’s primary repertoire explores the Balkan peninsula, ranging from Greece to Romania, and includes the music of the Rom (“Rom” being the preferred term for the people previously known as “Gypsies”). Orkestar Bez Ime is a winner of the 2011­-2012 McKnight Artist Fellowships for Performing Musicians and is a recipient of a 2012 Minnesota Emerging Composers Award from the American Composers Forum. 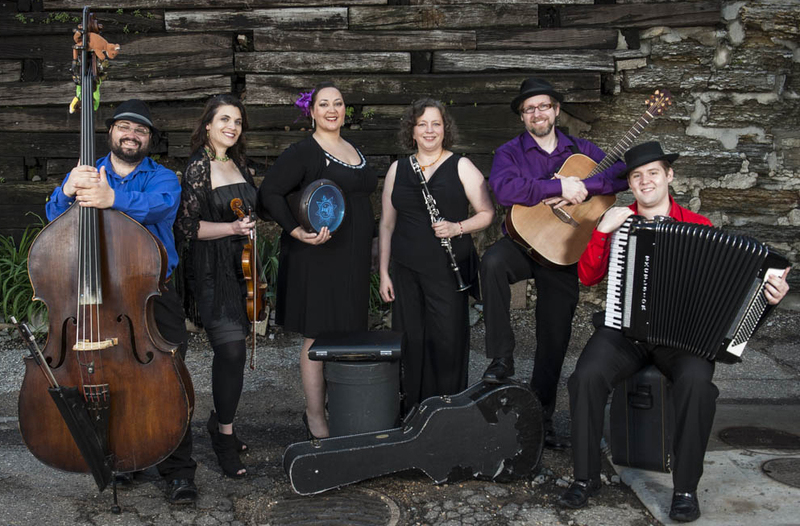 OBI is Colleen Bertsch (violin), Scott Keever (guitar), Matt Miller (bass), Katrina Mundinger (woodwinds), Eric Ray (accordion), and Natalie Nowytski (vocals). 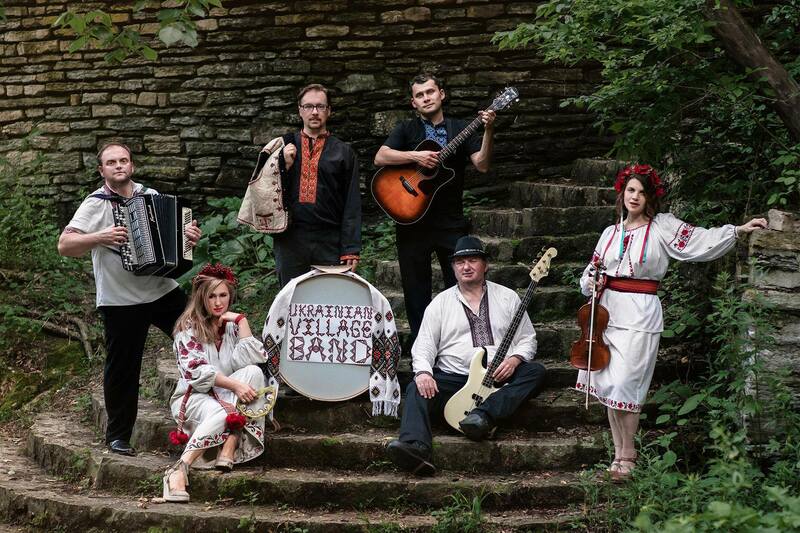 UVB is a Ukrainian roots and Zabava (wedding and event) band. We play both the folk and modern music of ethnic Ukrainians everywhere, as well as music from Ukraine’s various ethnic communities. UVB is Colleen Bertsch (fiddle, vocals), John Borofka (bass), Lev Frayman (guitar), Galina Gabrielle (vocals, guitar), Stefan Iwaskewycz (drums), Oleksij Khrystych (bajan, vocals). Szászka formed in 1996 to perform traditional Hungarian village dance music for events and workshops in the United States. Szászka performs regularly at táncház events in Minneapolis and Chicago, and at festivals and concerts in the Midwest. The group has studied with Hungarian and Transylvanian musicians in Hungary, Romania and the United States. Szászka is Colleen Bertsch (violin), Sara Bruins (bass), Doug Code (kontra). Ethnic Dance Theatre (EDT) is an award-winning company dedicated to the artistic performance and preservation of world music, song and dance. Since its founding in 1974, EDT has brought over 50 different cultures and traditions to life in colorful and spellbinding performances. EDT dancers perform to live music by the EDT Folk Orchestra, and the company’s extensive repertoire of folk dance and music includes such diverse countries as Austria, Albania, Bulgaria, China, Costa Rica, Germany, Lebanon, Mexico, Mongolia, Norway, Pakistan, Poland, Saudi Arabia, Spain, Tibet, Turkey, Russia, Uzbekistan and Ukraine. . .to name but a few! Pictured standing L to R: Tim O’Keefe, Nikolay Gueorguiev, David Stenshoel, Sara Bruins, Doug Code, Colleen Bertsch, Jim Parker, Tim Wahl, Matt Miller. Kneeling L to R : Scott Keever, Jenny Schultz, Eric Ray, Katrina Mundinger.